Ska with Umbrella7 and BANG the Skillet! 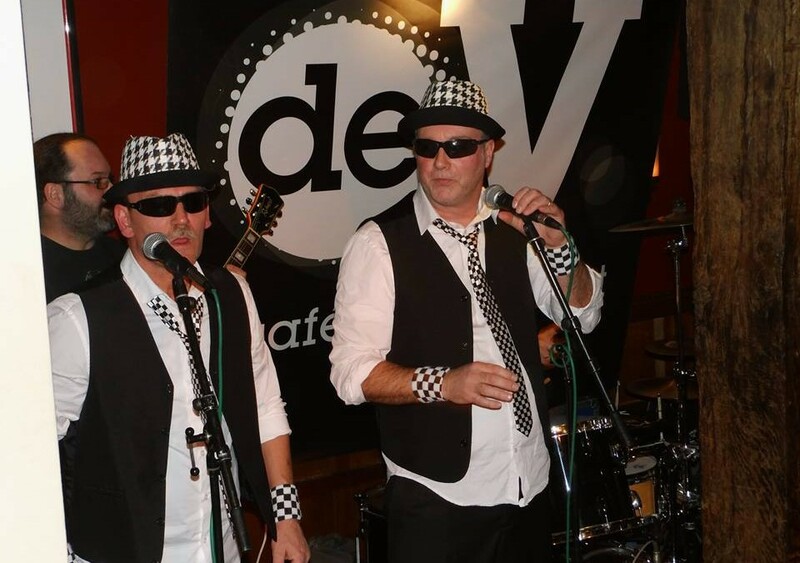 Umbrella 7 and BANG the Skillet: Ska-night at Cafe de V! We had a little problem last saturday Jan 17th: Our frontman and singer Max was not able to perform, so we had to do some ‘crisis-management’. But we solved it very well! We just played songs that we could do without Max and invited Umbrella 7 to do the rest of the show. So we played some oldies and instrumentals like Christine Keeler, You’re wondering now and Monkey Man (See video). After the break Umbrella 7 took off and played a great show with Twotone ska-classics like One step beyond, My Girl, Gangsters, Baggy Trousers, Ghost Town, Night Klub, Ratrace,Lip up Fatty, Lorraine, etc! Umbrella 7 also played some of their own songs: Istanbul by Night, Don’t Ask Her, Inquire Journey and Hold Me. It was a nice combination of different interpretations of ska-music, culminating in the ever so popular Nightboat to Cairo! The roof went off and the crowd went wild! After the Nightboat was long gone the last bandmembers were thrown out the venue 🙂 . It was a remarkable saturday night!